According to the CDC there are over 1 million cases of traumatic brain injury per year that lead to hospitalization, and as many as 3 million cases of any head injury per year, including mild concussions. The incidence of traumatic brain injury peaks in males between 15-35 years old. The most likely reason being due to a greater likelihood of risk-taking behavior and contact sport participation. Football players have been in the spotlight recently regarding the long-term effects of sports-related traumatic brain injuries. More studies are showing the negative consequences of football-induced concussions, indicating that more care needs to be taken for contact sport players sustaining mild concussions. Hollywood is even catching on with the new movie by Sony Pictures Entertainment, Concussion, with Will Smith playing the roll of Dr. Bennet Omalu, the first to identify chronic brain damage as a factor in the deaths of some National Football League players. Someone with a concussion is said to have a form of mild traumatic brain injury (TBI). A TBI is caused by being hit in the head by something with force, or if the head is violently shaken. A traumatic brain injury can also occur as a result of a sound blast, in which the pressure of the noise is loud enough to cause brain damage. The primary injury is a contusion (bruising) of the brain. In moderate to severe cases, hemorrhaging (bleeding) of the brain can occur. The most common causes of head trauma are the result of motor vehicle accidents, explosions, or sport-related injuries. Traumatic brain injuries are classified as mild, moderate, or severe. Even though a mild concussion, or head trauma, is not life-threatening, it can cause some serious life-changing symptoms, including hearing loss. Due to the head trauma, a concussion can cause ear damage and changes to the auditory pathway up to the brain. Many changes can occur to the ear, causing reversible or sometimes even irreversible damage. 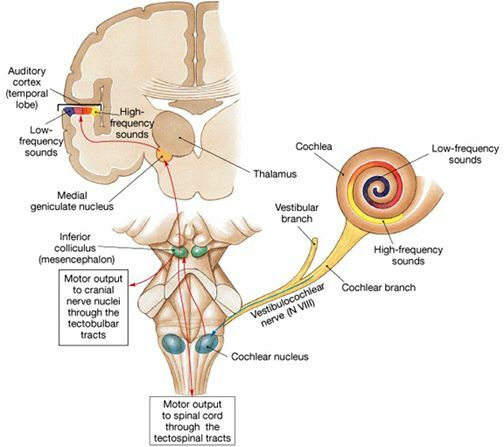 The eardrum can rupture, the small ossicle bones of the middle ear can become damaged or dislocated, damage to the tissues and membranes of the inner ear can occur, as well as ischemia of the cochlear nerve. The central auditory pathways of the brain can also be disrupted during head trauma. Reduce background noises in the room and eliminate distractions. Only have one person talk at a time so as to eliminate competing signals. Face the person when you are talking to them so that they can use both the auditory and visual cues to help with understanding. Ask your Audiologist about assistive listening device options which may help to improve communication. The treatment and rehabilitation of concussions and other traumatic brain injuries will require help from Audiologists, as well as other healthcare professionals. Those experiencing a traumatic brain injury will need time and attention to maximize the benefits of rehabilitation. 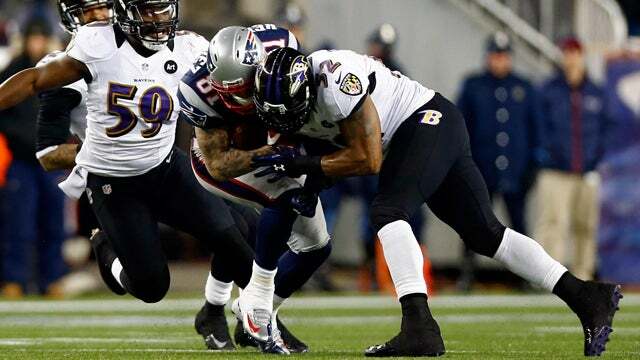 Update: A new study shows 87 out of 91 deceased NFL Players tested positive for brain disease. I’d highly recommend you see a chiropractor that deals with the upper-cervical spine. I had a mild concussion last year in october while doing heavy sparring with a bloke much heavier than me, my eyesight changed, it has a constant raining sort of effect that is really annoying, my left ear is kinda deaf, constant headaches, minor tinnitus, and I wasn’t even knocked out. Did CT scan, they found nothing, eye exam, nothing, ear exam, nothing. I almost lost all hope, so I can deffinately understand how it feels, it’s frustrating and soul crushing to accept that you most likely have to live like this for the rest of your life. But there’s always hope, dude. I started visiting a chiropractor pretty recently and, allthough my symptomps are not entirely gone, they are improving dradtically, and my chiropractor said that with a couple of more visits, and regularly training my nervous system with his specified exercises, I could become symptom-free! So I highly recommend it, it could change your life. In January I hit my head above occipital bone. My neck now has stiffness, my hearing is dull and I get pressure in middle of occipital area and when that happens my hearing goes numb. Any ideas? Today I saw an ENT and nothing wrong with my ears.